I discovered this little tea room by chance on a Sunday when I took my mother to the open gardens in Cranbook, a beautiful little town in the heart of Kent. However, the Waterloo Tea Rooms and Gift Shop does not open on Sundays so I returned again one Wednesday lunchtime. The usual tea room food was offered and I had a pot of tea, Jan had a coffee. For lunch I had scrambled eggs and smoked salmon on toast and Jan had a quiche with salad. For dessert, I had a toasted tea cake and Jan had a slice of cake from the immaculate cake display. We topped up our drinks and enjoyed the chat, tea room and views. 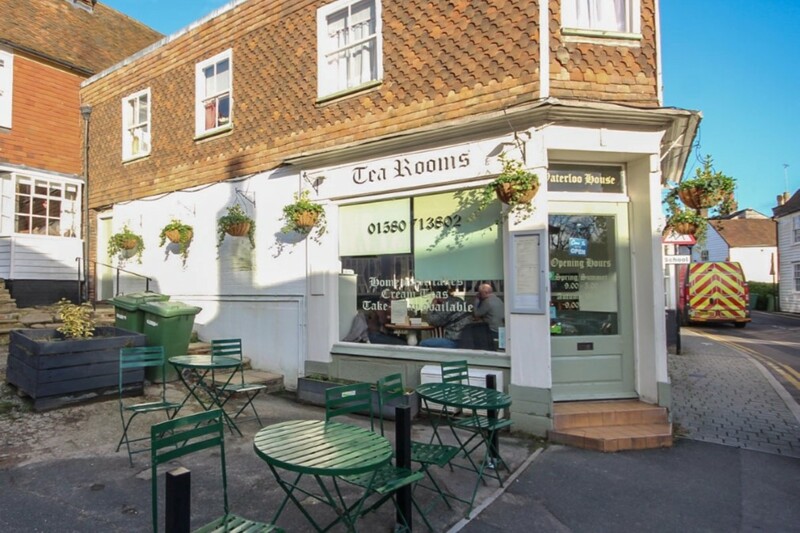 This tea room is the sister tea room of the Village Tea Rooms in Headcorn. As you would expect, being the sister tea room of the one in Headcorn, top quality gifts were on sale. As you walk through the door you are led straight into the downstairs tea room and there is a flight of stairs to the very nice and quaint upper floor, where I enjoyed our brief stay. I have never been thrown out of an English tea room in my life, but we were asked to pay and leave. Unbeknown to me, shops in Cranbrook close half day on Wednesdays so we had to leave. Strange, as the tea room in Headcorn does not close on Wednesday afternoons and they have half days on this particular day…still, a first time for everything! I returned to this tea room one early afternoon, for lunch. As the tea room no longer closes half day on Wednesdays, due to demand, I returned and enjoyed a lovely freshly prepared lunch and a pot of tea. I spoke to the owners, Chris and Suzy a couple originally from South London. They are a lovely couple who have a superb tea room. I intend to revisit soon with a business colleague.